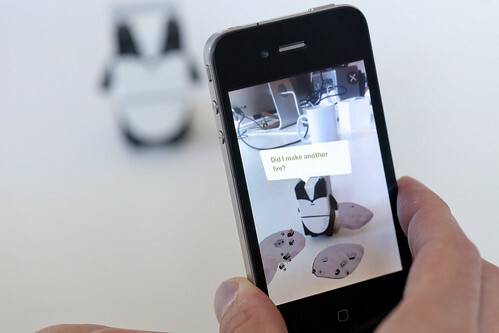 Suwappu – the augmented-reality toy we invented with Dentsu London is a nominee this year in the Digital category of the Designs Of The Year show at London’s Design Museum. It’s in great company – with other nominees in the category such as the Kinect, the Guardian’s iPad app (which we also consulted on, with Mark Porter and the brilliant internal team at the paper), High Arctic by UVA and others. The Suwappu certainly get around a bit – here they are last year where they went to Pop!Tech with me to speak about toys, play and learning in a Robot-Readable World. 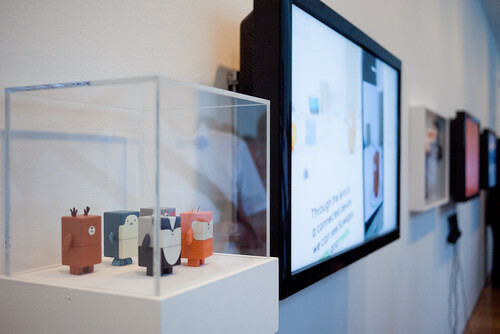 We worked with Dentsu London from their original idea to bring them to life through model-making and animation, and then build working prototype software on the cutting-edge of what’s possible in computer-vision on smartphones. It’s great to have partnerships like this that can rapidly get all the way from a strategic idea ‘What if toys were a media channel’ through to working, real things that can be taken to market. Of course – it’s a lovely bonus when they get recognised in a wider cultural context such as MoMA or the Design Museum. As well as making our own products, we spend most of our time in the studio working closely in partnership with clients to create new things for them – making strategy real through research, design, making and communication. Do get in touch if you and your company would like to work with us this way. …but when do they ship? Yeah seriously when are these going to be available? It looks like so much fun! I want to start writing dialogue and interactions for them.